The Freedom of Information Act is the federal act allowing individuals the right to request federal records and documents in the interest of transparency and full disclosure. All states, or counties, have their own laws or statutes regarding the public's right to court records, but they tend to model the Freedom of Information Act. The petition is the initial document filed with a court proceeding. This legal document has varying titles in each state, but has the same general meaning. For instance, in Washington it is the "Petition for Dissolution of Marriage" and in New York it is called "Verified Complaint-Action for Divorce". The items which are in the petition include: both spouses names and address, the date and place of the marriage, names of any children, how long the individuals have resided in the state/county where the documents in filed, ground for divorce (i.e. irreconcilable differences), and requests to settle items like child custody, property division, debt division, and spousal support. Orders may be attached to the petition with detail requests for items like child visitation schedules, spousal support, and temporary residences during the proceedings. All of this is public information. The answer does just that--answers the petition. The answer is filed by the spouse who did not file the petition and responds by agreeing or disagreeing to each point in the petition from the date of marriage to the proposed spousal support. This is where the other spouse voices their concerns and requests regarding the four issues of: the division of marital property, division of debt, child custody, child support and spousal support. Divorces can drag on for months and in the meantime there are often court ordered, temporary decisions made on who will live where and what the children will do until the spouses come to an agreement or a judge issues his decision to the couple. This document is filed with a court docket and public the same as the petition. If a couple does not have a quick and amicable settlement and the case goes to court, the spouses' attorneys are allowed to request any documentation or testimony, oral or written, to prove items such as income, property, investments, and anything else relating to the four items of assets, liabilities, expenses and child support or visitation. Once these types of documents are procured it is likely to be mentioned in the settlement or judgment, both public documents, as the judge will likely use financial data in determining how everything should be split and resolved. Most couples tend to come to an agreement on most topics and file a settlement agreement. Where there is a consensus on most items but one where the couple cannot agree a partial settlement agreement may occur. In the case where no agreement can be reached a judge or jury may decide the case and issue a judgment presenting their decision. Either way, all three of these documents are filed with the court and become public record. They will include: who has custody of the child, visitation rights and schedules, child and spousal support (who pays, how much, when), division of assets and debts, and all financial matters regarding the children from health insurance to who may claim what child on their taxes. There are instances where the couple decides to keep the settlement agreement sealed and if granted by a judge may happen. This is particularly common with public figures and celebrities who do not want their financial information and personal life printed in the press. If the case is reopened for a request for more support or special circumstances, however, the settlement agreement will no longer be sealed. Cases are often reopened as incomes increase and children attend college. Devan, Alexis. "Public Information on Divorce Filings." 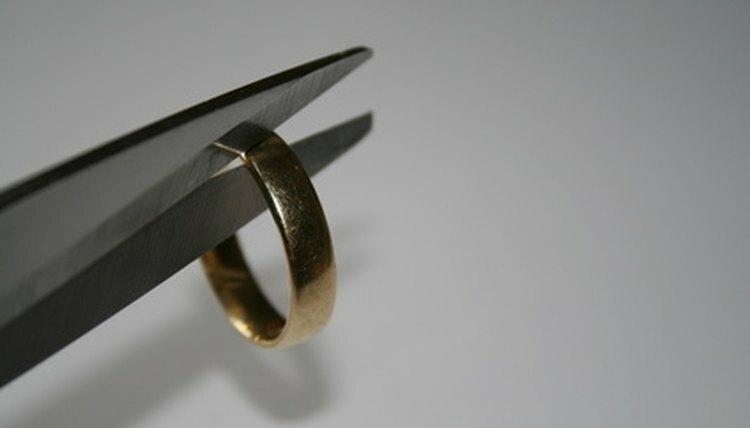 , https://legalbeagle.com/6108520-public-information-divorce-filings.html. Accessed 19 April 2019.